This is not a clan advertisement. If you are looking for a steady squad to play with every night, you are better off joining a clan. 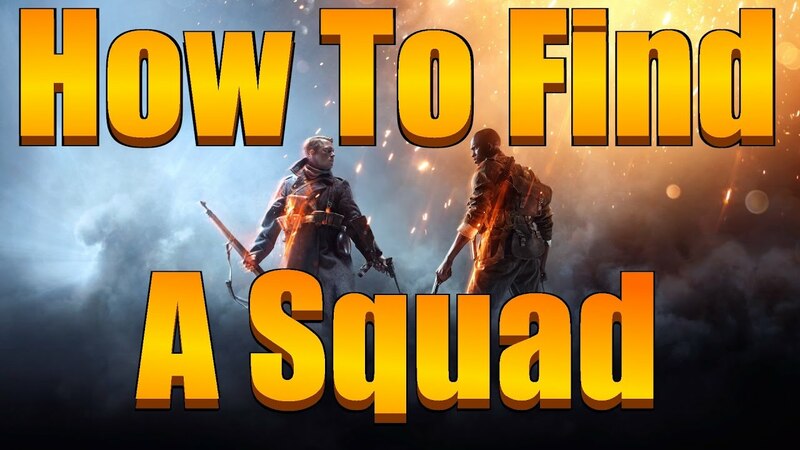 This is for those who don't want to wear a clantag, but still want good squad communication, or those of you who are in a clan, but do find themselves playing alone lots of games. It's so hard to find a decent "Looking for Group" discord server for the Battlefield games. There are a few, but they have no clear structure in order to do some efficient LFG or they have a limited audience ( only one game, one country, one region, etc... ). Under each category, you have the option to create your own Squad voice channel, or join one of the existing ones. Once you created a channel, you can manage it as if you are the server owner and the channel will continue to exist as long as you and/or other players are in it. Once the channel becomes empty, it get's deleted again. 21 members and growing. Bump! 34 members and growing! Bump! Two days in a row I was able to get a squad on the server. So happy it's a succes. 43 members and growing! Bump! 64 members and growing! Bump! 73 members and growing! Bump! Also added PS4 channels on request. 294 members and growing! We also have a couple of new streamers! 370 members and growing. Added the option to create AU voice channels! 416 members and growing! Finally 400+. Road to 500 ahead! 448 members and growing! Road to 500!